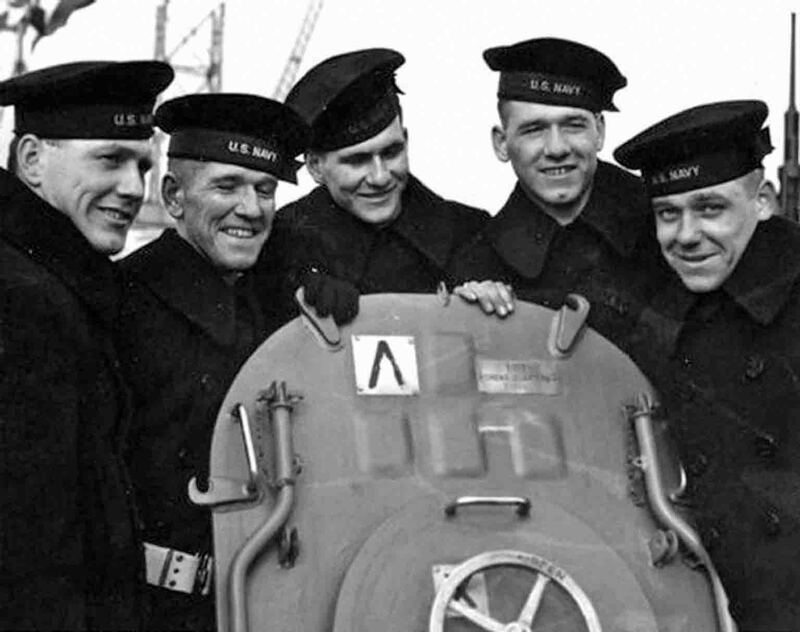 On the American cruiser Juneau served five brothers Sullivan – (from left to right) Joseph, Francis, Albert, Madison and George, from 20 to 27 years. On November 13, 1942, during the naval battle for Gudalcanal, the cruiser was sunk by a Japanese submarine I-26. When the ship exploded and instantly sank, there were 200 sailors left from the 700 that were part of the crew. Rescue operation began only after a few days, and after eight days only ten seamen were found; The rest perished from hunger, thirst, wounds and attacks by sharks. Among them was none of the Sullivans: the survivors said that Francis, Joseph and Madison were killed right away, Albert drowned the next day, and George stayed four or five days. This was the biggest loss of the American family in the Second World War; After this case in the US, the Sole Survivor Policy program was adopted, which protects servicemen whose next of kin have already died in the war.